MIS is a surgical procedure performed through tiny incisions – instead of a large opening – on the patient’s body. This procedure is fast gaining popularity across various hospitals and clinics throughout the globe, owing to benefits such as reduced bleeding, shorter length of hospitalization, low cost, and fewer medical complications. Fiber optics are flexible, light and can be placed in space-restricted environments such as instrument catheters for highly localized measurements and are ideal for MIS. This is expected to increase global demand for fiber optics in MIS during the assessment period. In 2015, the global medical fiber optics market was valued at US$ 916.8 Mn. 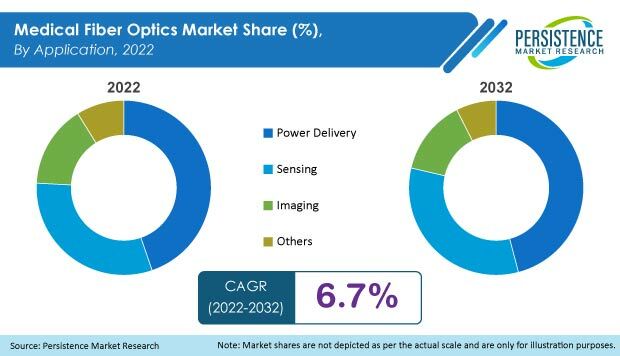 By 2024, the global medical fiber optics market is expected to reach a market valuation of US$ 1,544.7 Mn, growing at a CAGR of 6.1%. The global medical fiber optics market is estimated to create absolute dollar opportunity of US$ 63.5 Mn in 2017 over 2016.